The United States remains the most popular emigration destination for Chinese HNWI investment emigrants for the third year running, according to a just-released report out of China. Canada, which the annual survey had placed behind the UK for the last two years, overtook the UK for the first time this year to become the second-most preferred destination for wealthy Chinese investors looking to relocate, while Australia remained in fourth place, the report, carried out by the Shanghai-based Hurun Research Institute consultancy, along with the Visas Consulting Group, reveals. 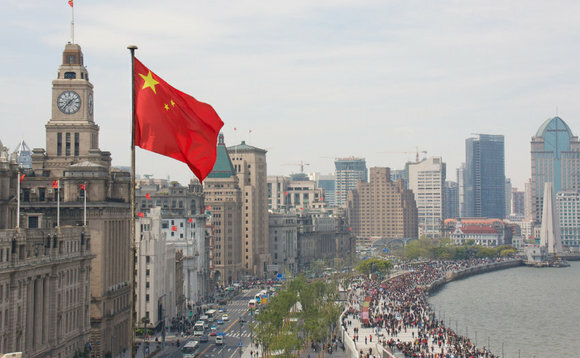 The ranking is based on interviews conducted between April and July of this year with 304 Chinese who had already emigrated or planned to do so, and whose average wealth was 20 million yuan (US$2.95m or HK$23m). Only jurisdictions that have “active investment immigration policies” in place were considered. The jurisdictions were rated on the basis of educational opportunities, investment destination preferences, immigration policy, property purchasing, tax, medical care, visa-free travel, and ease of adaptability. It is the fourth consecutive year that the report has been carried out. The publication of the ranking comes at a time when growing numbers of jurisdictions that have long been favoured by Chinese immigrants, including the US, Canada and Australia, are looking to tighten up on immigration. The US, for example, is known to be considering major changes to its 25-year-old EB-5 investment visa programme, long known as the “golden visa” – including possibly doubling its current US$500,000. A number of countries, again including Canada, have also seen the introduction of new regulations aimed at cooling housing markets that have been soaring in recent years as a result of foreign investors – including Chinese HNWIs – have been buying into them. At the same time, cash-strapped countries, especially in the Caribbean in the last few years, have sought to encourage HNW immigrants with new “investment visa” programmes, many of which charge significantly more than the US does. Rupert Hoogewerf, chairman, founder and chief researcher of the Hurun Report, noted that the number of Chinese HNWIs who say they are contemplating emigrating had dropped to “just under half, the lowest [percentage] on record”, though he noted this was still a relatively high proportion, just not as high as the 60% that the figure tended to be in previous years. This year more than ever, he added, Chinese HNWIs are facing an ever-widening array of choices to make as they consider whether to stay or go, and if they go, where to, as the US Federal Reserve has continued to raise interest rates, the yuan has undergone devaluation, property purchase restrictions have begun to be imposed on foreigners seeking to buy into certain popular overseas residential markets, and China’s so-called Belt and Road initiative has promoted international investment at home. If China were able to get a grip on such problems as education and pollution, which top the list of reasons Chinese HNWIs say they are considering emirating, “then the primary incentive to emigrate will have been taken away”, Hoogewerf added. To read and download the report from the Hurun website, click here.